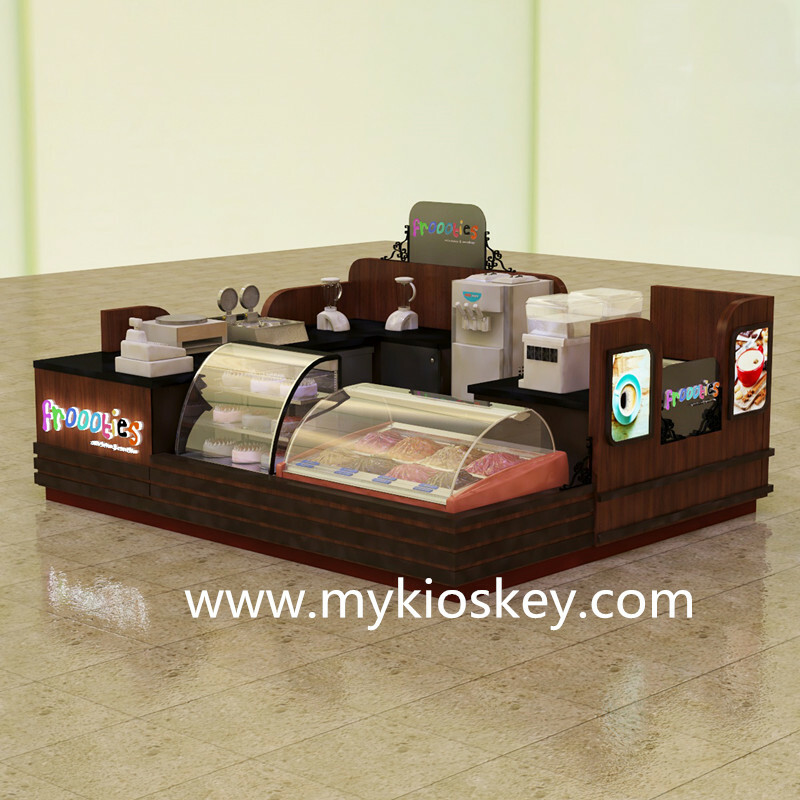 Summer is coming, are you ready to start your own fried ice cream kiosk in a mall? 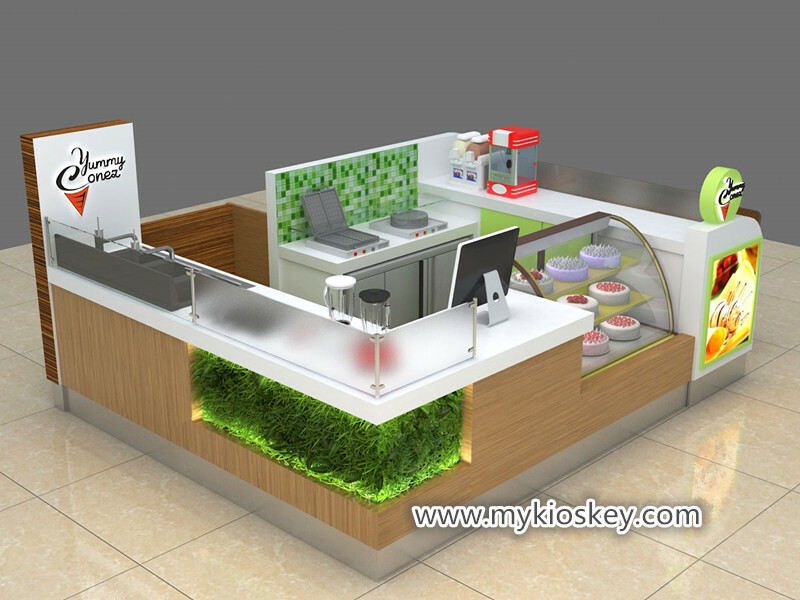 mykioskey as a direct factory we mainly work on the design and customized depend on types of mall retail kiosk. 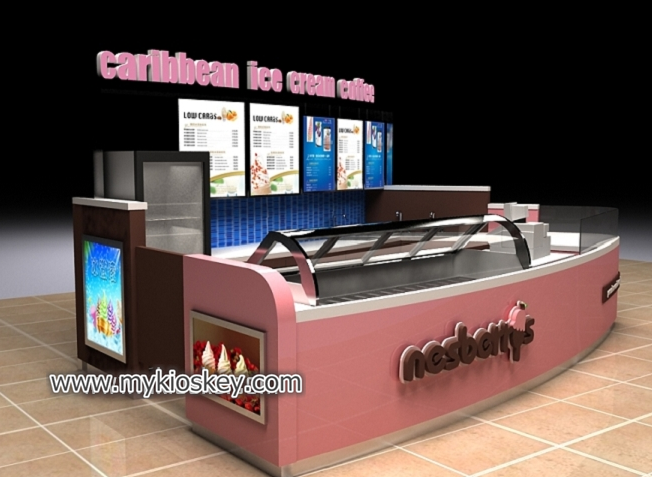 in this article what I wanna share is a popular fried ice cream kiosk in the United stated. if you’re interested to start your business, please follow me more details below. 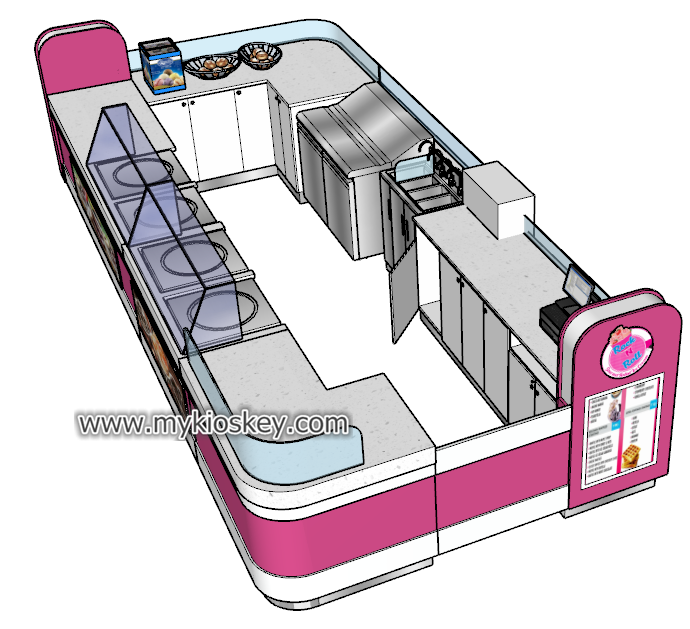 Here is more basic information about this fried ice cream kiosk. 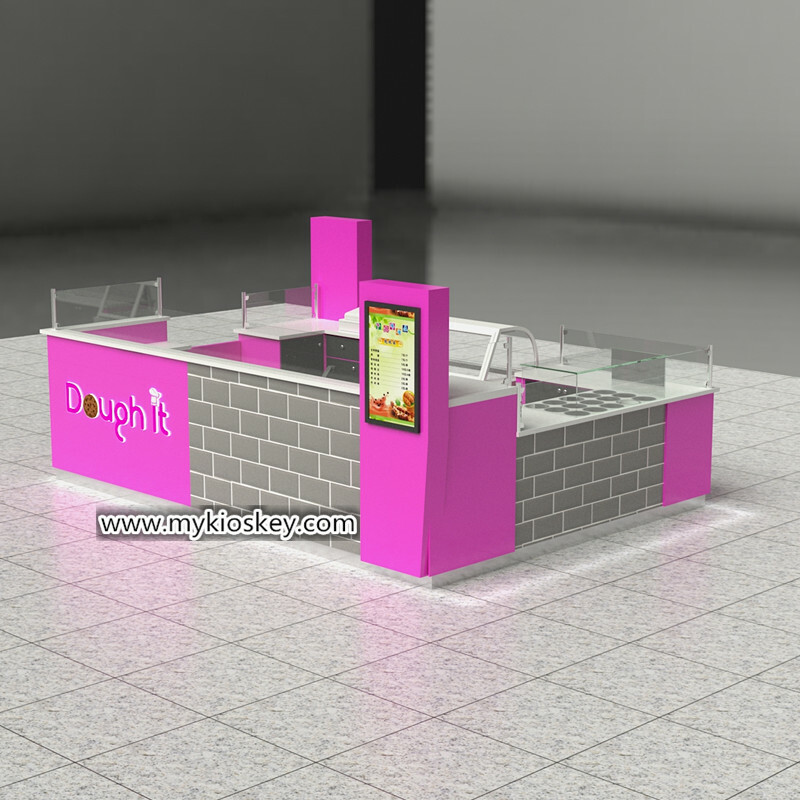 Size : 10X15ft. or customized. 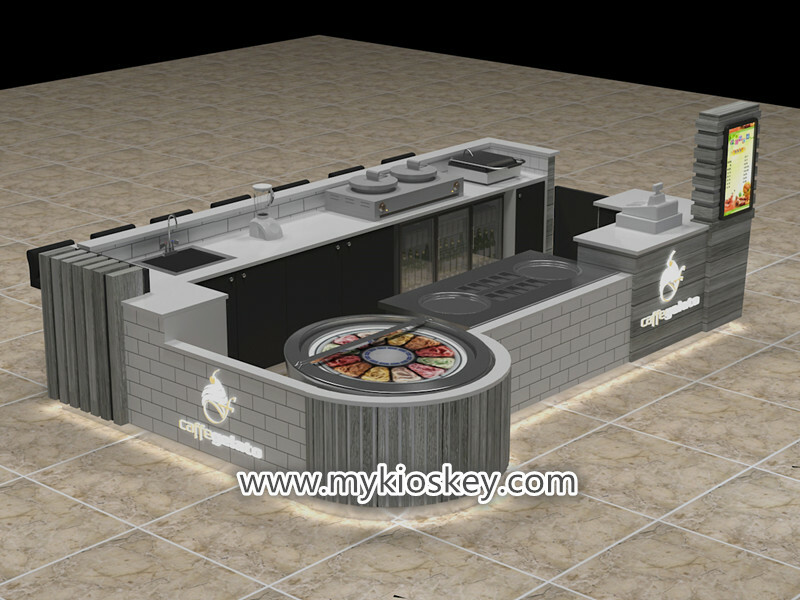 Material: plywood, fireproof plate, tile. Service: fried ice cream, juice. 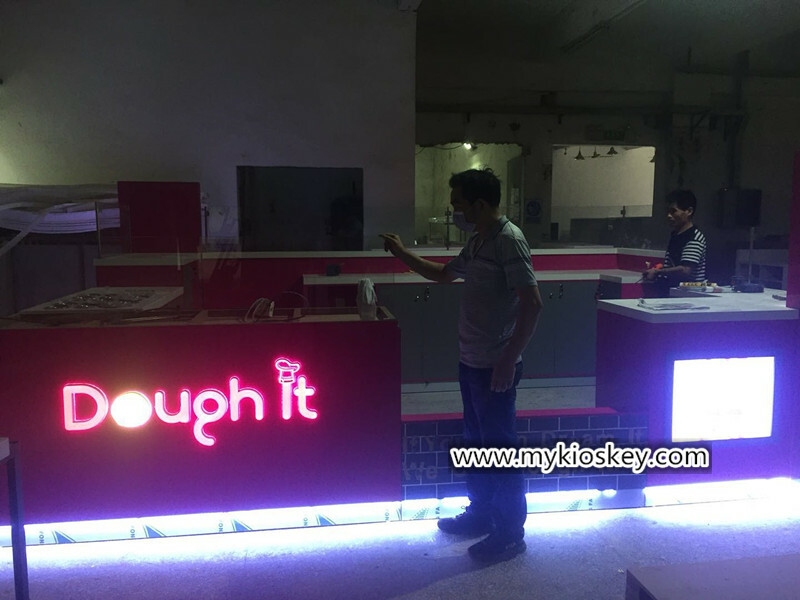 Accessories: acrylic logo, lightbox. sink. 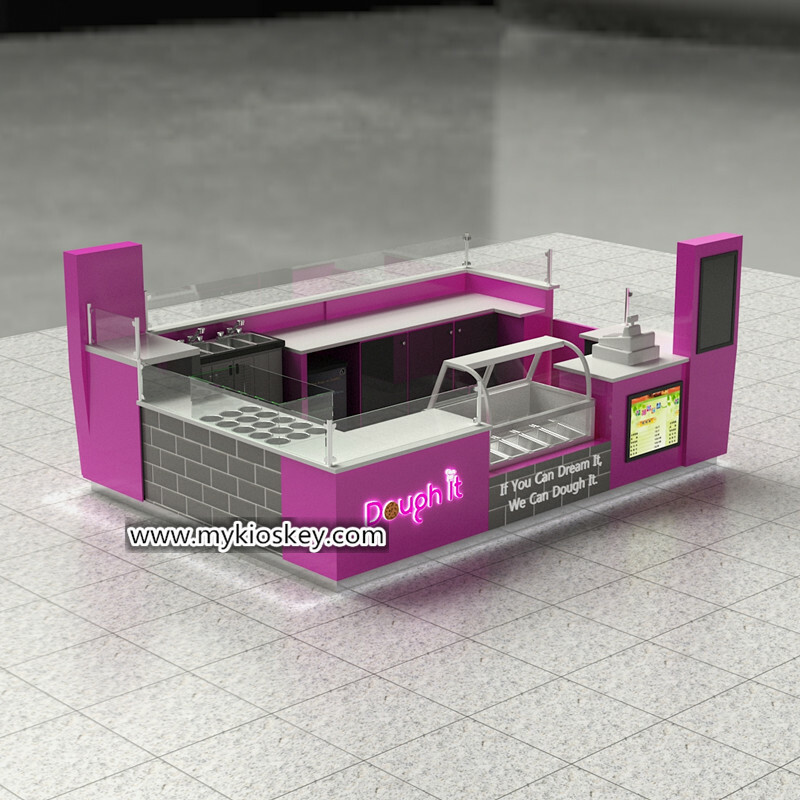 As you see this fried ice cream kiosk. 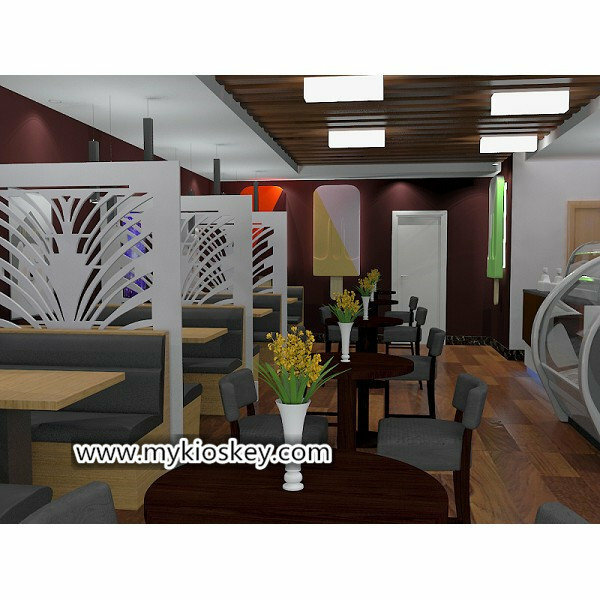 mainly tone is purple and gray, is a very simple square shape, purple laminate match the gray tile. white Corian worktop. looks very elegant and exquisite. 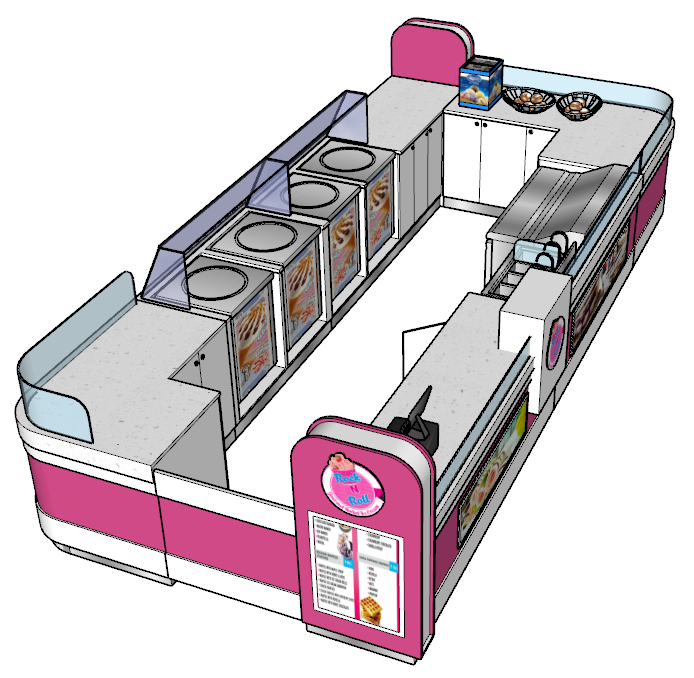 Here are some real pictures, you can have a reference. 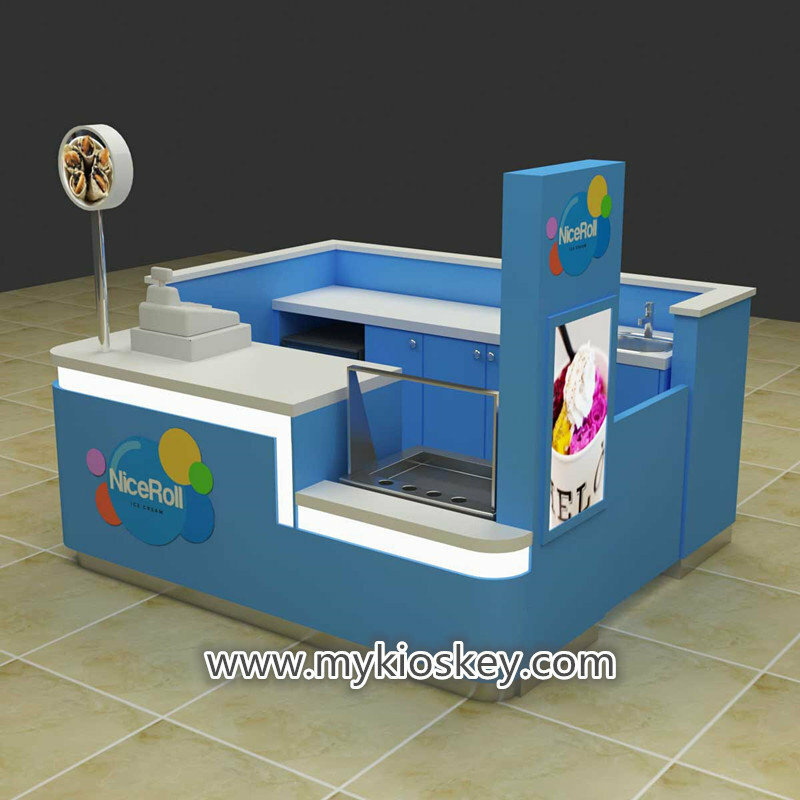 The whole kiosk surface with many luminescence acrylic logos and lightbox. 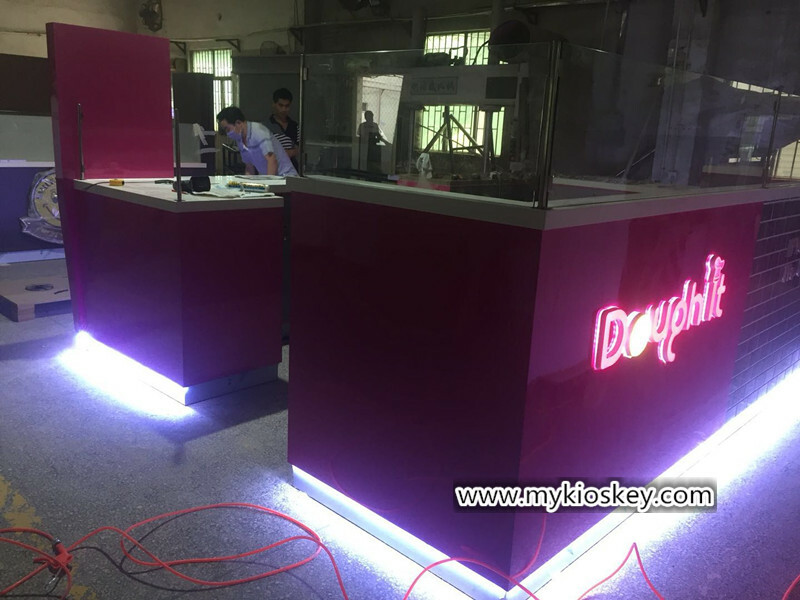 the bottom of this kiosk is stainless steel skirting and white led light strip, it’s very bright and attractive at night. 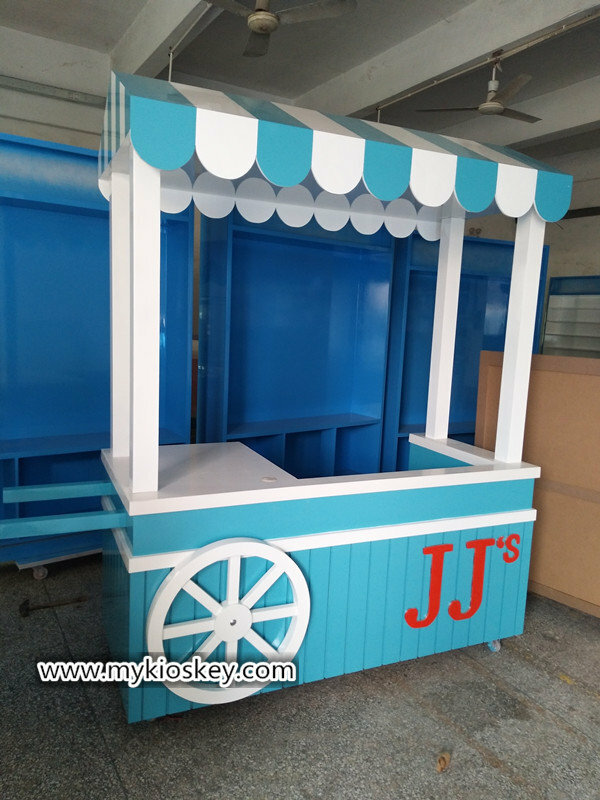 Thanks for your time and reading, if you wanna further info or interested to start your fried ice cream kiosk business, pls feel free to contact us as below. thank you!